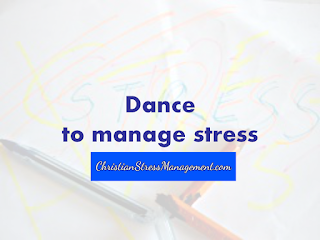 Dancing is a great activity to engage in when you are stressed because it is a form of aerobic exercise. It, therefore, helps the body burn stress hormones and this effect reduces your chances of developing a stress-related illness. 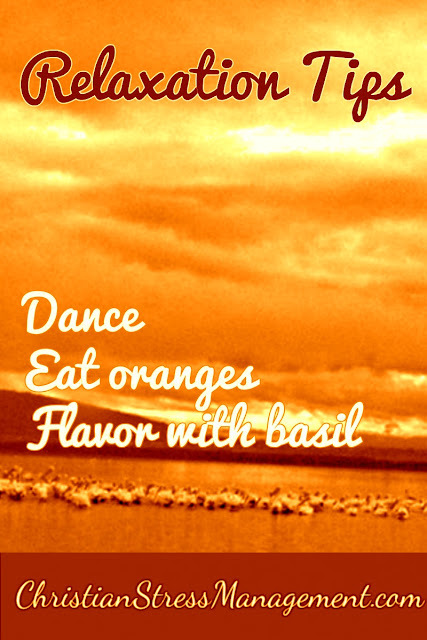 Dancing also helps elevate endorphin levels which make you feel better. Therefore put on your favorite music and dance to your heart’s delight whenever stress tries to weigh you down. Studies suggest that oranges can reduce the changes which occur when the body is stressed because they contain a compound known as linalool. These citrus fruits are also great sources of vitamin C which is used by the body to boost the immune system. This makes it especially vital when the body is battling with stress which depresses the immune system. 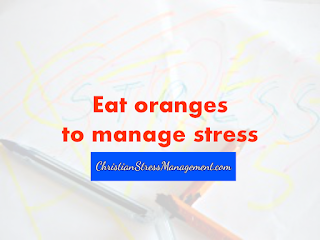 Therefore ensure that you eat an orange a day to help you cope with stress. Basil has been used for centuries because of its healing benefits which include anti-inflammatory and antioxidant properties. 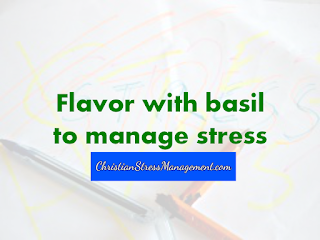 Studies have added to its long line of health benefits by suggesting that it can help with stress management since it contains a chemical known as linalool. Therefore flavor your meat and vegetable dishes with this healing herb and you will reduce the hazardous effects of stress on your body. Therefore do not negatively change your thoughts, words or actions to suit your stressful situation as that will increase your stress. If you have already conformed to the negativity around you e.g. by entertaining self-defeating thoughts, speaking of failure or engaging in self-defeating behavior, change yourself by renovating your mind with the Word of God. Meditate on I can do all things through Christ who strengthens me. 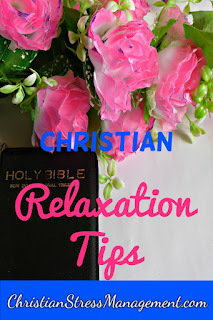 (Philippians 4:13) Repeat it until you believe it and begin thinking like a winner as you let the Word of God renew your mind so that you can discern what God wants you to do to resolve your stressful situation.